Six Primes (2014), for piano in 13-limit just intonation is a suite of six pieces that use the six prime numbers 2, 3, 5, 7, 11, and 13 to govern both the tuning and rhythmic structure of the music, including the harmony and rhythmic subdivisions. The piano is re-tuned in a just intonation in which the notes are tuned to one ratio with the highest prime factor of 2, three ratios with highest prime of 3, and two ratios each with highest primes of 5, 7, 11 and 13. It rigorously explores the 75 intervals thus created in rhythmic structures that mirror in time the proportions given by the notes employed. 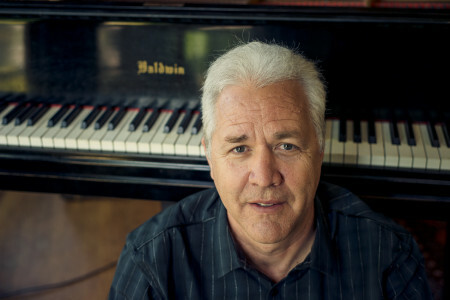 Chris Brown, composer, pianist, and electronic musician, makes music with self-designed sonic systems that include acoustic and electroacoustic instruments, interactive software, computer networks, microtonal tunings, and improvisation. His compositions are designs for performances in which people bring to life the musical structures embedded in scores, instruments, and machines. Recordings of his music are available on New World, Tzadik, Pogus, Intakt, Rastascan, Ecstatic Peace, Red Toucan, Leo, and Artifact Recordings. He has also performed and recorded music by Henry Cowell, Luc Ferrari, José Maceda, John Zorn, David Rosenboom, Larry Ochs, Glenn Spearman, and Wadada Leo Smith; as an improvisor he has performed and recorded with Pauline Oliveros, Fred Frith, the Rova Saxophone Quartet, William Winant, and Frank Gratkowski, among many others. He teaches at the Center for Contemporary Music (CCM) at Mills College in Oakland, California.